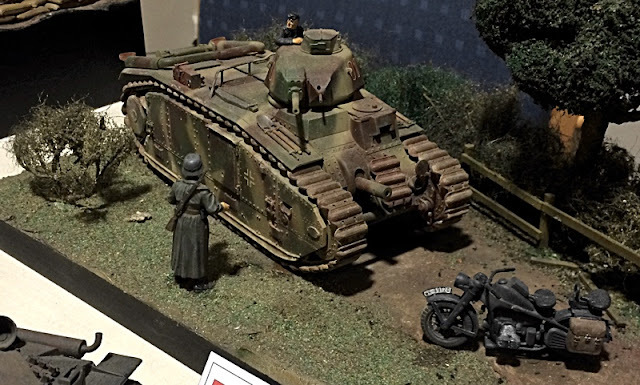 THE TANK MUSEUM, BOVINGTON, UK, houses a wide-ranging display of tanks and armoured fighting vehicles (AFVs) with some 300 vehicles on show, making the collection a world leader. 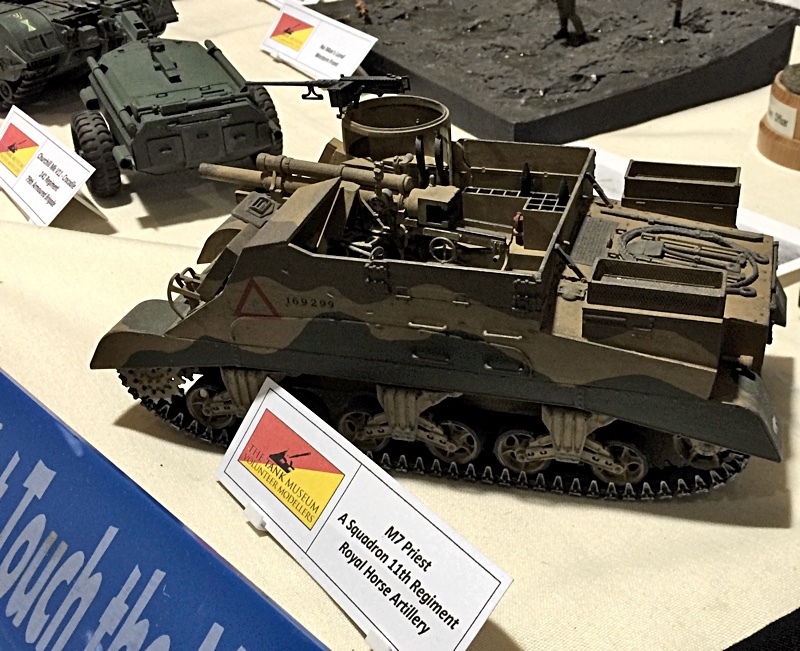 Among the many AFVs on view are the world's first tank, Little Willie, the deadly German Tiger, and the modern Challenger 2. 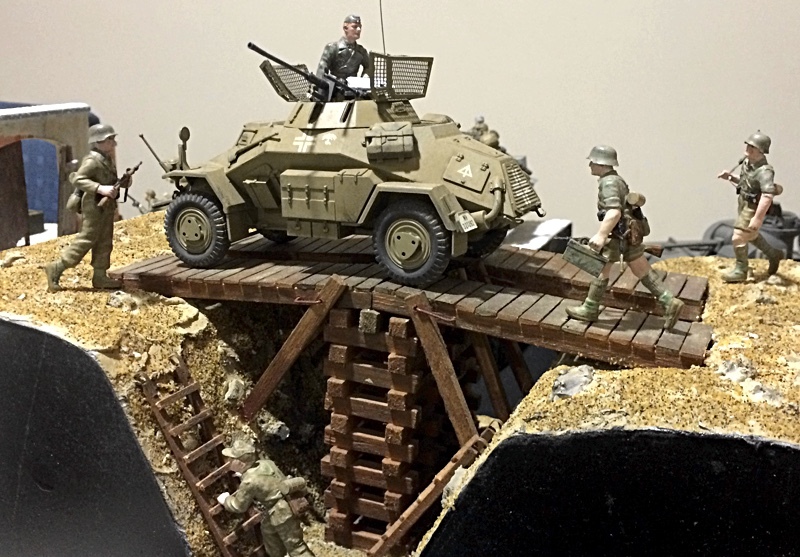 SMN report: An excellent model display when we visited the Tank Museum included (header, below) a World War II Afrika Korps-built wooden bridge. Huge attention to detail contributes to a highly realistic appearance, as well as in the fit and finish of the scout car, with not too much weathering to overdo the surface finish. War on the Eastern Front, shown (below) by a platoon of troops advancing with a Soviet T-34 tank. 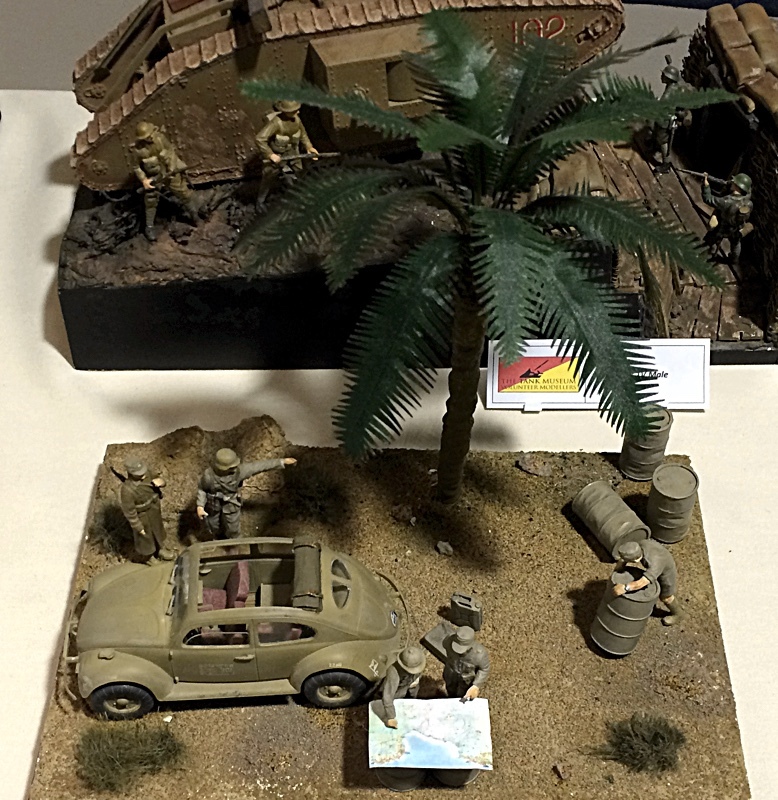 Another Afrika Korps diorama (below) comes complete with a scale palm tree. Note the rear windows of the Volkswagen, later to become a standard-fit on early post-war civilian Beetles. 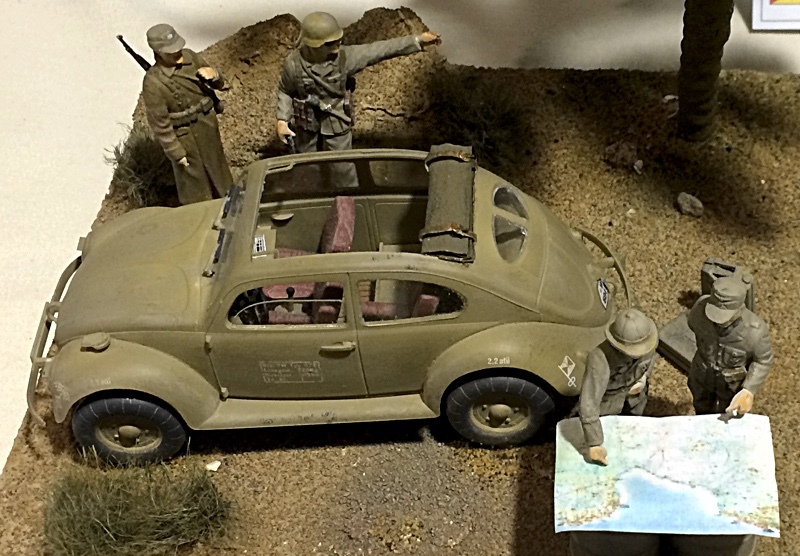 Officers (below) discuss battle plans with a large-scale map of North Africa. 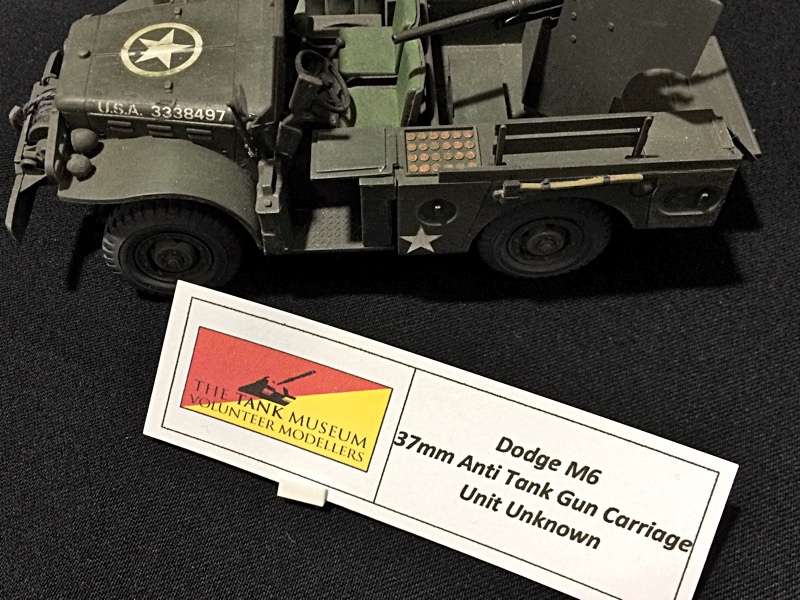 US supply vehicle, represented (below) by a 1:35 scale Dodge M6. 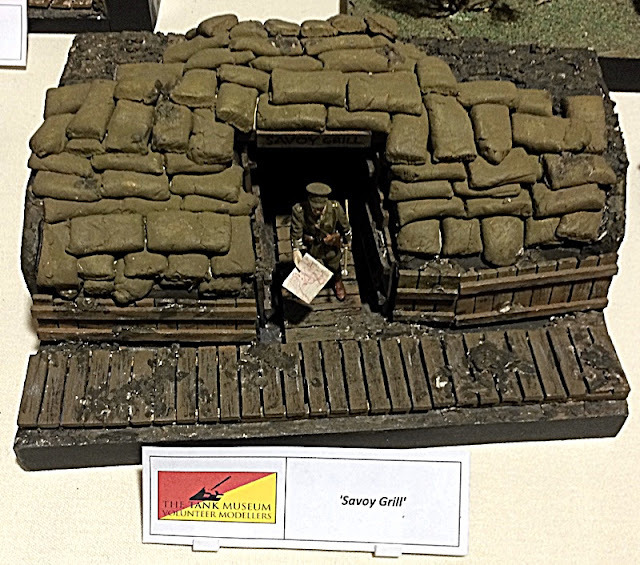 More models on display (above, below) all share excellent attention to detail and finish. Tank crew and motorcycle rider (below) exchange information in rural France. 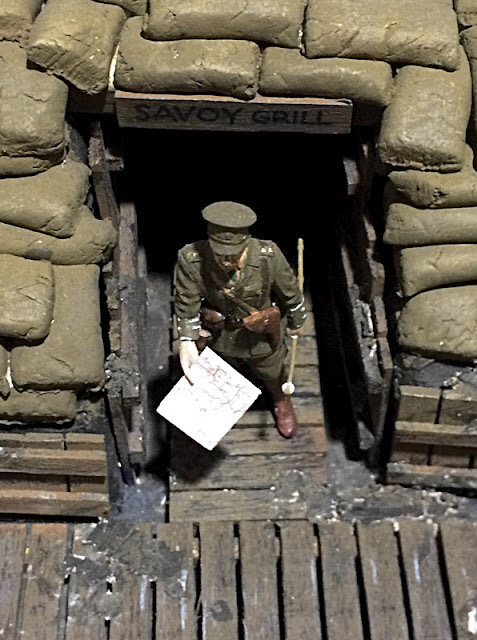 British Officers in World War I would have had their tongues firmly in their cheeks in naming this fortified post (above, below). At that time, London's Savoy Grill represented the last word in ultra-smart restaurants - somewhat different to the sandbagged dugout depicted here. 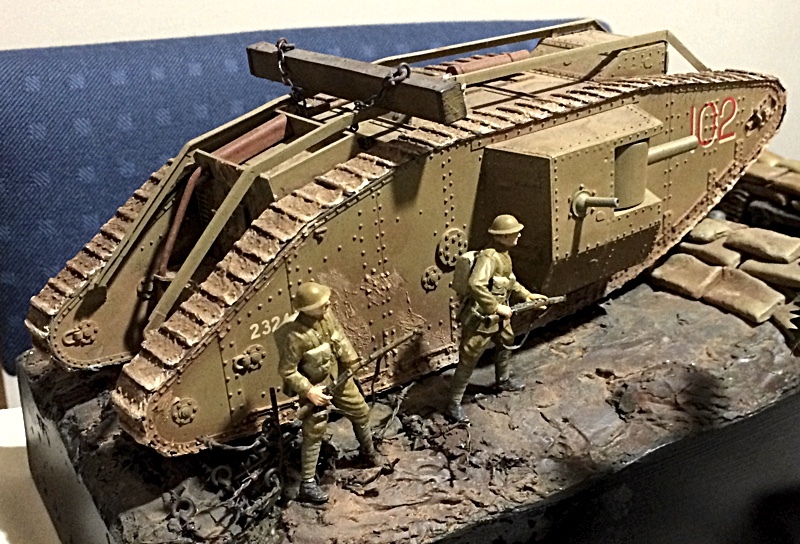 Early tank (above, below) shows the ungainly proportions of such metal monsters. Unmanoeuvrable as they were, tanks were still a game-changer on the muddy battlefields of World War I. 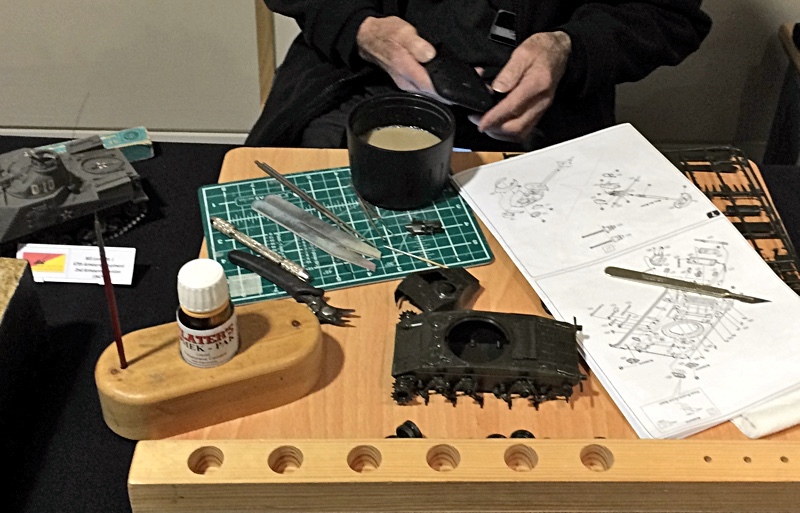 Hands of an expert AFV modeller (below) with tools laid out on a neat wooden work surface. 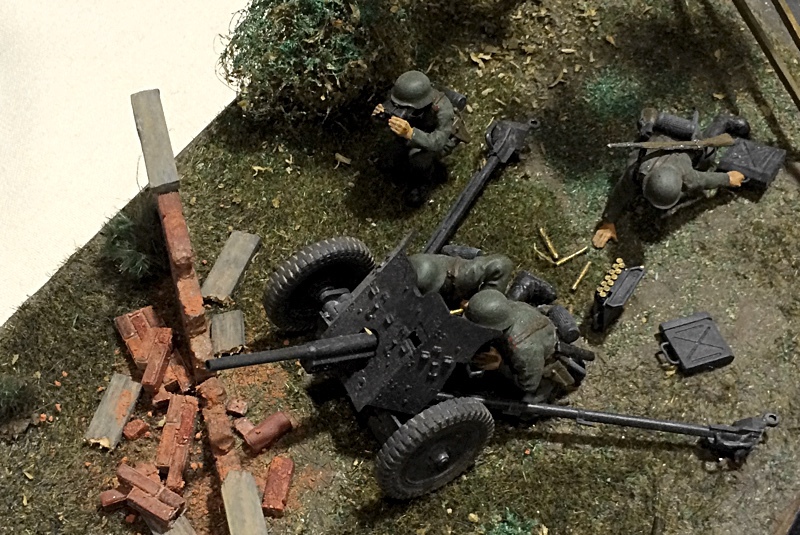 The themed exhibitions at the Tank Museum tell the story of armoured warfare from World War I to the present day. 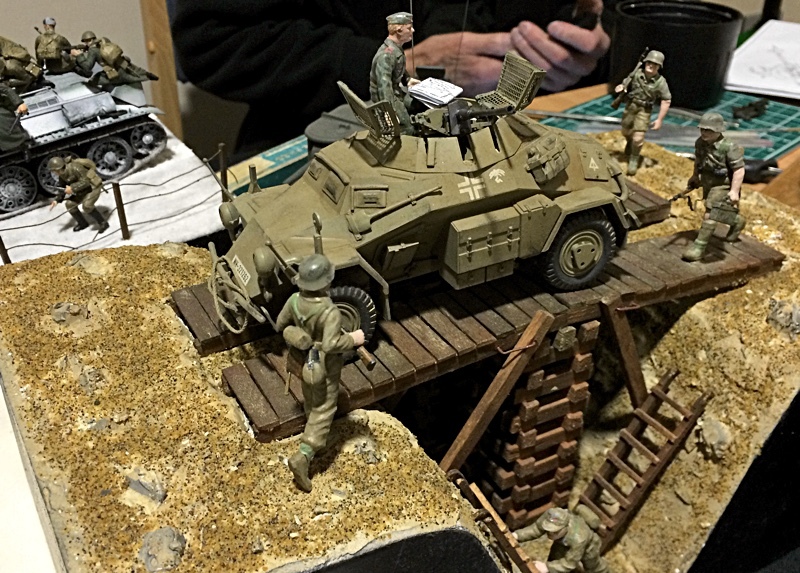 There’s a huge amount to see, with six large display halls allowing you to inspect AFVs that have seen action in all the major wars of the 20th Century. There are also plenty of fascinating audio-video recordings that go a long way to reveal the gritty reality of armoured warfare. 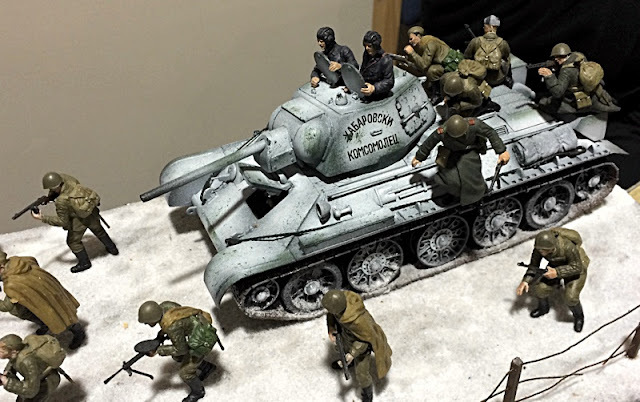 Visit The Tank Museum here.